Ahead of his Schnitzer hat trick, Grammy winner Joshua Bell performed at Central City Concern. Joshua Bell shows the Old Town Recovery Center what a 300-year-old violin can do. Grammy award-winning classical violinist Joshua Bell can (and did) pack the Schnitz for three days straight. But while in town, he also played a much more intimate show at a multipurpose recovery center in downtown Portland. 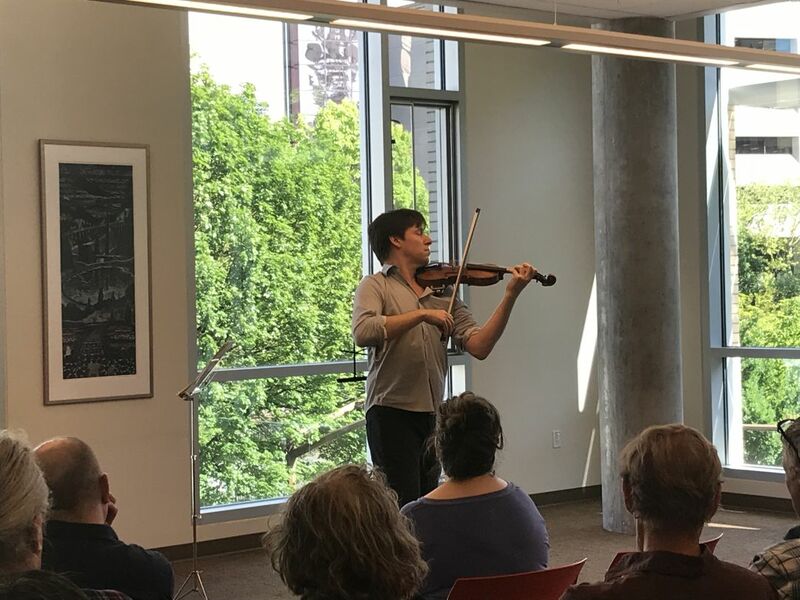 Bell, arguably the world’s most famous violinist, gave a private performance last Friday, May 11, at Central City Concern’s Old Town Recovery Center, for a small but appreciative audience—and all free of charge. In attendance were roughly 50 CCC clients—many of whom suffer from severe, long-term mental illness and homelessness—as well as members of the Maybelle Community Singers, a choir from the local nonprofit Maybelle Center for Community. 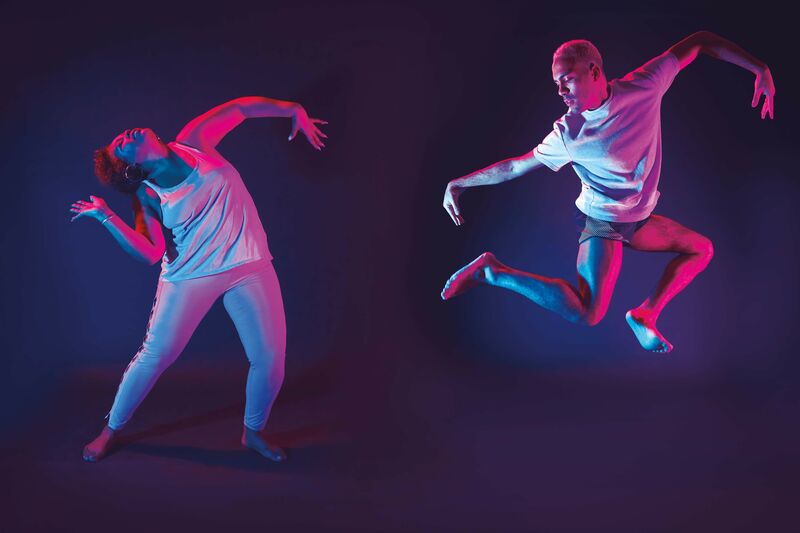 The event was part of the Oregon Symphony’s “Sounds of Home” series, an initiative to “bring music off the stage and into communities, to people who may not otherwise be exposed to it,” according to the Symphony’s community engagement manager Monica Hayes. Pianist Kirill Gerstein and violinist Elina Vähälä also visited Portland as part of the series, which engaged with the subjects of immigration, the environment, and in Bell’s case, homelessness. Bell became a viral sensation in 2007 after an experiment he conducted for the Washington Post. He went undercover with a baseball cap and busked in a D.C. subway station, where he went unrecognized by all but one and made $32.17. It was an insightful—if rather depressing—look at the anonymity and isolation of homelessness. “I enjoy playing music in unusual places,” Bell told his CCC audience. After performing the first movement of Bach’s Double Violin Concerto with the Oregon Symphony’s concertmaster Sarah Kwak, Bell opened the event up for audience questions. Surprisingly, attendees were more interested in his over 300-year-old violin than anything else. Part of CCC’s hope was that the event might inspire their clients to pursue playing music themselves. President and CEO Rachel Solotaroff explained how music can benefit people in challenging circumstances. 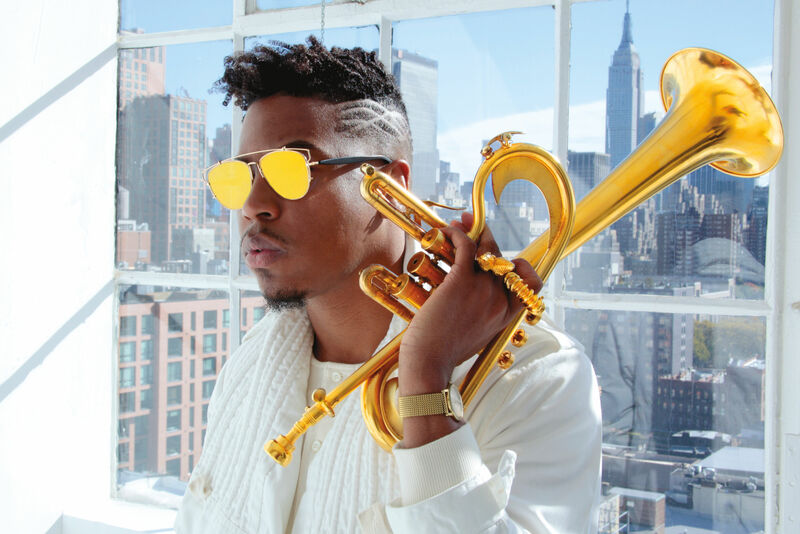 Bell encouraged the audience to pursue music and creativity in their own lives, and not to let the intimidation of “not being good enough” stand in their way.